We have been working with Ramiro Braga for about 5 years now and in that time have worked together on brokering 6 transactions (purchases and sales). Ramiro brings so many extras to the table and possesses good business acumen which is very helpful during negotiation phases. He goes the extra mile and doesn’t stop at just showing you listings and doing open houses (which he does very well and devotes a lot of time to), but also provides valuable insight and clearly considers his client’s interests as #1 in all cases (buying or selling). 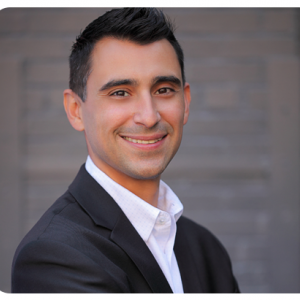 As far as we are concerned, Ramiro is the guy we go to and will continue to go to for any real estate needs. On our last transaction, we made a record sale in an upcoming neighborhood and the buyer’s agent made a point of telling us how instrumental Ramiro was on closing that transaction with his buyers (not an easy feat given both parties had strong points of view). Needless to say, we completely agreed and were not surprised to hear that. We would highly recommend Ramiro to our friends and family with a clear conscience including some bragging rights. Ramiro, thank you so much for all that you do for us! You are incredible to work with.